Global is set to buy Exterion Media in its third out-of-home deal in a matter of weeks. Radio group Global’s planned acquisition of Exterion Media, which holds the London Tube advertising contract, will dramatically increase its investment in the OOH sector, making it a serious rival to JC Decaux, the number one in out of home in the UK. Exterion Media’s operations in Ireland, France, the Netherlands and Spain will also expand Global’s reach in Europe. Global, Britain’s biggest radio group, said it has made a binding offer to buy Exterion Media, which has an estimated 22% market share of OOH in the UK. It should give Global close to 35% market share in the UK, following its purchase of Primesight and Outdoor Plus in a stunning double deal last month. France’s JCDecaux, the world’s biggest ad group, has about 35% share in the UK. One source reckoned Global might even be bigger than JC Decaux by share in the UK. "It’s a game-changing deal," one OOH industry insider said. The planned deal was announced at 6pm after being signed earlier today after just "days" of negotiations, a source said. The price was not disclosed. An industry observer believes Global could have agreed to pay in the region of £450m to £500m to Exterion Media’s private equity owner, Platinum. A Global spokesman would not comment on the price or if there might be a competition investigation. The expanded group could have a potentially dominant position in radio and OOH in some markets such as London. Global, the owner of Capital, Classic, Heart and LBC, already has upwards of 50% share in commercial radio in the UK. Global is thought to have paid well over £200m and perhaps closer to £300m for Primesight and Outdoor Plus on 20 September. The Exterion Media deal is binding because it requires the approval of a French workers' council and is set to close by the end of the year, according to Global. Exterion Media claims to be the UK's largest transport media owner, including the London, Newcastle, Liverpool and Glasgow metro systems, and Global said it was "the perfect fit" with the largely roadside portfolio of Primesight and Outdoor Plus. Stephen Miron, group chief executive of Global, said: "Global’s binding offer to acquire Exterion Media complements our recent purchase of Primesight and Outdoor Plus. "The incredibly positive reaction we have had to the news of our entrance into the OOH sector only reaffirms our belief and excitement about the opportunities within the outdoor market. "Exterion has a great track record in the UK and across Europe and we look forward to working with the team to develop the business further." Ashley Tabor, founder and executive president of Global, said: "Our binding offer to acquire Exterion Media demonstrates our commitment to the OOH sector and means that we now have credible solutions on air, online and outdoor. "The Exterion Media inventory also affords many opportunities and synergies with our current business and we look forward to bringing new innovations to the out-of-home sector for the benefit of advertisers." Leon Taviansky, chief executive of Exterion Media, will join Global Outdoor. He said: "Like many others I was very impressed to see Global enter the OOH market and can fully understand why Exterion Media sits very well within Global’s OOH portfolio. We look forward to joining the Global family." The Tabor family owns Global. Colin Gottlieb, chief executive of Omnicom Media Group EMEA, whose family previously held a small stake in Outdoor Plus, said the deal would give Global huge reach with advertisers, particularly in London. "The strategy is extremely interesting," he said. "It’s great news for the business -- for media, for marketing and for advertising. I think there’s more that they can do to add to it." Insiders in the out of home industry were surprised by Global’s latest audacious move. "You find me speechless," the chief executive of one company said. "I really haven’t had time to process it." Another OOH insider said: "It makes a lot of sense. Global are really going for it." 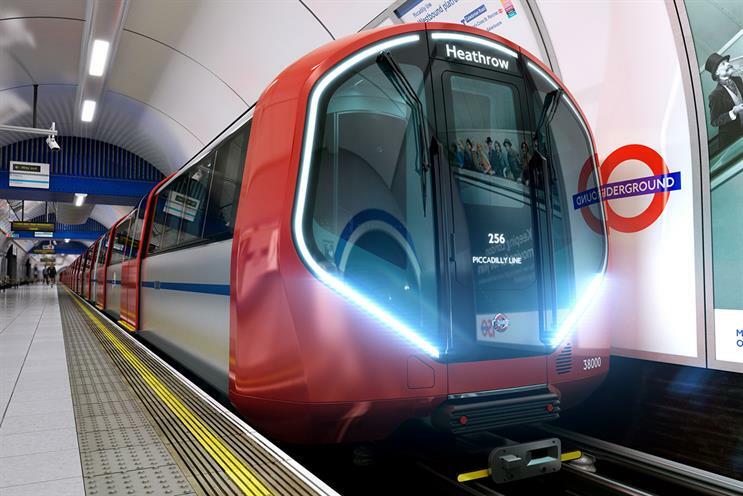 Exterion Media retained Transport for London's London Underground contract, its most prized asset, in an expanded deal in 2016. Exterion Media, then known as CBS Outdoor, previously changed ownership midway through its prior TfL contract. The other main media owners in UK out of home are Clear Channel, with about 18%, and Ocean Outdoor, with under 10%. Analysts think OOH has growth potential because of the rise of digital screens that allow targeting by time of day, location and weather.